Your mother has arrived for a week-long visit. She’s three hours early, doesn’t have a front door key and you’re at work stuck in a meeting. The doorbell rings while you’re preparing for a dinner party. Is it an early expected guest or a solicitor you can ignore? A burglar broke into your home. You remember a stranger ringing your doorbell last week. Could that have been the thief? If you only had a picture to show police. 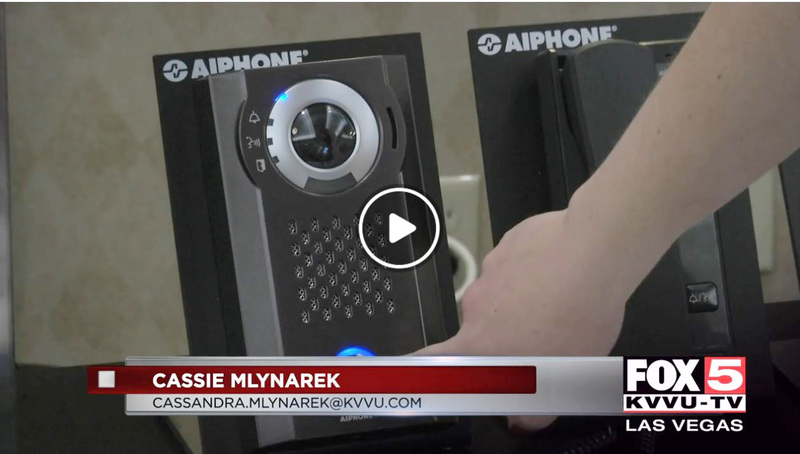 Take control of your front door with the JO Series video intercom from Aiphone. It lets you see and talk with visitors and remotely unlock the door whether you’re in the kitchen or on vacation. JO Series intercoms also act as a video answering machine for your home with built-in options for storing audio and video recordings of visitors. It starts with a door station and embedded camera. You can put a master station with its 7-inch screen anywhere in your home to see clearly who’s at the door. The system is hardwired so you don’t have to worry about whether the internet is working. And you stay in control from the bedroom or the beach by using the JO Series Mobile App for Apple and Android smart devices. To open the door, you swipe an on-screen slide. That purposeful motion helps prevent accidentally unlocking the door. Now, it’s not a problem when your mom arrives early because you can unlock the door from the office conference table. Don’t let a solicitor interrupt your dinner plans, just tell him you’re not interested without having to go to the door. And a quick review of recent visitors will give you sharp images of any suspicious strangers to share with the police. The JO Series Video Intercom with Mobile App is ideal for any busy family. It’s also perfect for small businesses with staff needing to remain connected in order to manage visitors. The affordable JO Series is available at a one-time cost without long-term contracts or added fees. And you’ll get the same renown quality and reliability customers expect from the Aiphone brand. 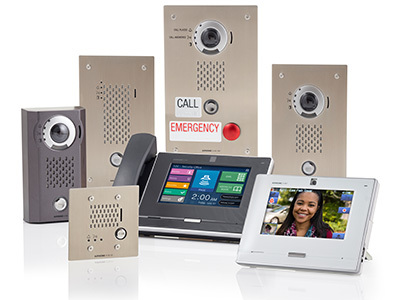 Make your home or small business more convenient and secure with a JO Series video intercom. Visit our website page to find an Aiphone dealer near you.